Home Boxing Edrin Dapudong vs Victor Ruiz added in Pacquiao-Vargas Undercard! 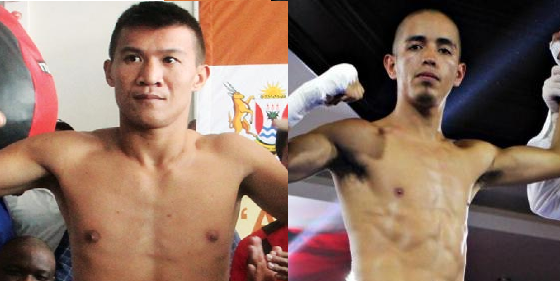 Edrin Dapudong vs Victor Ruiz added in Pacquiao-Vargas Undercard! Former IBO world super flyweight champion Edrin Dapudong will face the Mexican Victor Ruiz on the Undercard of the most awaited WBO welterweight title fight between Manny Pacquiao vs Jessie Vargas on November 5, 2016, at Thomas & Mack Center, Las Vegas, Nevada, USA. Dapudong 30, has a record consisting of 32W(20KO)6L. A former WBC Silver flyweight champion and also a former world title challenger against Hernan Marquez but defeated via 3rd round TKO. Dapudong is an aggressive fighter and has a power on both hands. He knocks out Gideon Buthelezi of South Africa in 2013 and became an IBO world super flyweight Champion. Dupudong last fight was a KO win against the Filipino Ronerex Dalut. On the other hand, Victor Ruiz is a 25 years old from Guadalajara, Jalisco, Mexico. Has a record of 22W(15KO)6L. A hard-hitting boxer but has a weak chin and knocked out 4 times in his career. Like all Mexican, Ruiz is an aggressive boxer and fighting all out for the fight. Ruiz won his last fight against the Fellow Mexican Roberto Lopez via unanimous decision.